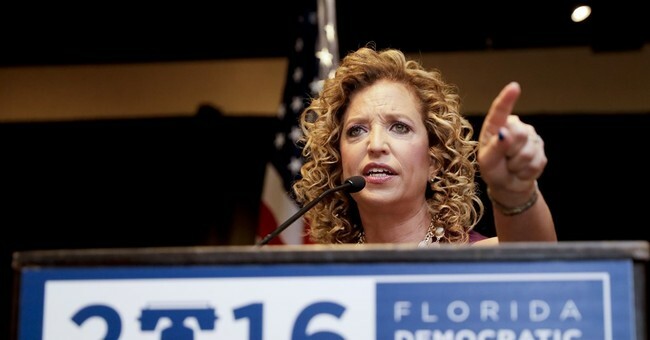 Now-former Democratic National Committee Chair Debbie Wasserman Schultz didn't only damage her committee's image by organizing a primary process that all but disenfranchised Bernie Sanders voters - it also damaged her own political career. The Florida congresswoman faces a tough reelection campaign this November in the form of challenger Tim Canova - especially after the Wikileaks DNC email hack. Canova has taken advantage of Wasserman Schultz's scandals to prove she is too establishment and doesn't deserve two more years representing the constituents of Florida's 23rd district. He has insisted he would be a better champion for progressive causes. This week, Canova is crediting Wasserman Schultz with a major fundraising bump. Canova said he raised $125,000 on Monday and Tuesday of this week. Wasserman Schultz announced her resignation on Sunday. On Monday afternoon, she said she wouldn't gavel the convention to order and wouldn't be speaking at the quadrennial event. "That's a lot for two days. And it was certainly a kick from what had happened to Debbie," Canova said. If Wasserman Schultz loses her reelection bid, but Hillary Clinton wins the White House, she will still have a job. Clinton asked Wasserman Schultz to join her presidential campaign right after she announced her resignation from the DNC.